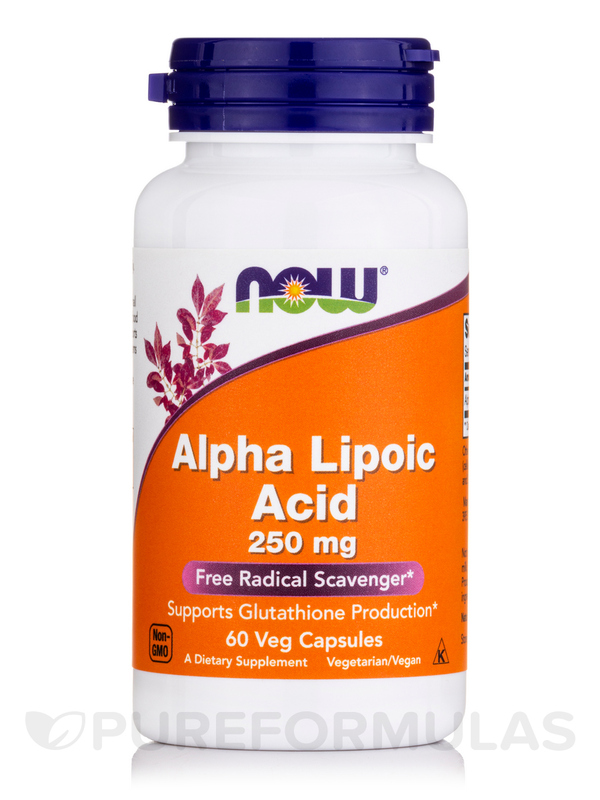 This Alpha Lipoic Acid 250 mg by NOW helps me. This is from a trusted brand and at a great price. 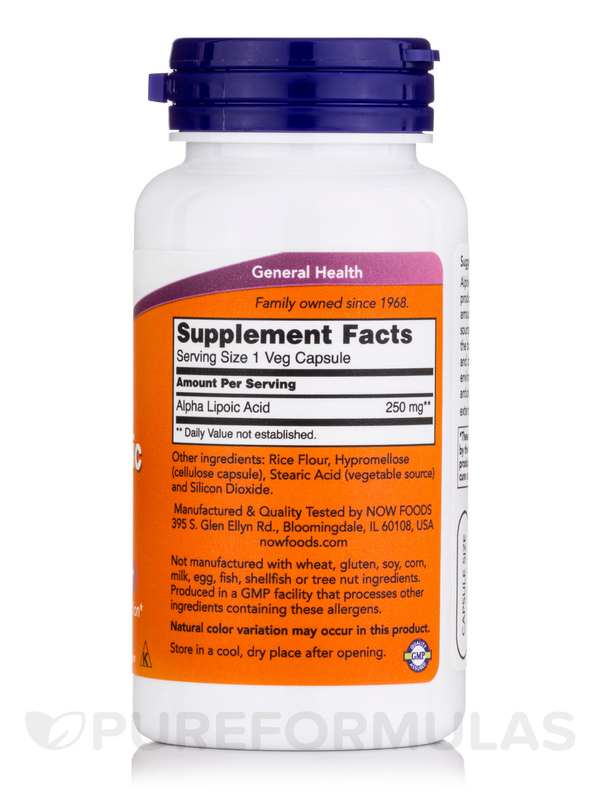 Alpha Lipoic Acid 250 mg by NOW has a good dosage that you can easily spread through the day. Great to glucose/insulin and nerve pain from diabetes. I bought Alpha Lipoic Acid 250 mg by NOW on recommendation of my MD for chronic fatigue syndrome. I noticed my digestion is stronger. Going to increase the dose soon. Alpha Lipoic Acid (ALA) is naturally produced in the human body in very small amounts‚ but is also available through food sources. 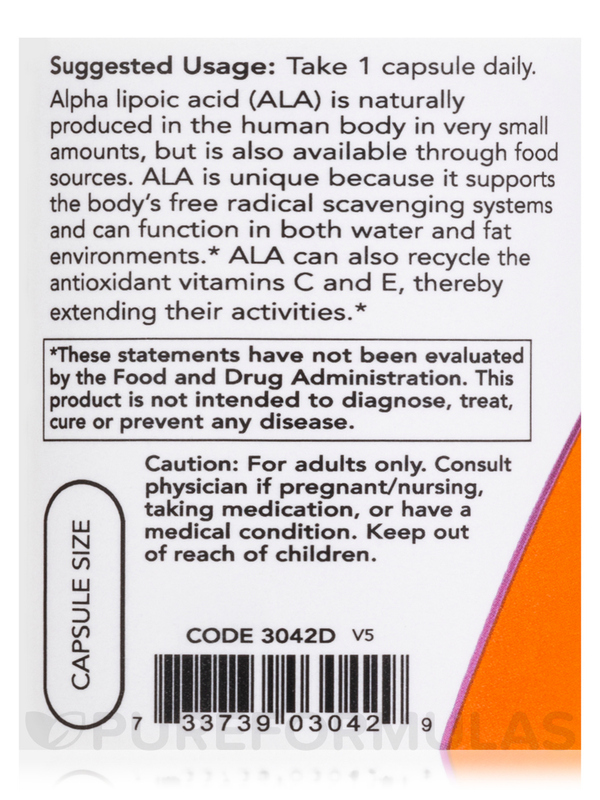 ALA is unique because it supports the body's free radical scavenging systems and can function in both water and fat environments. 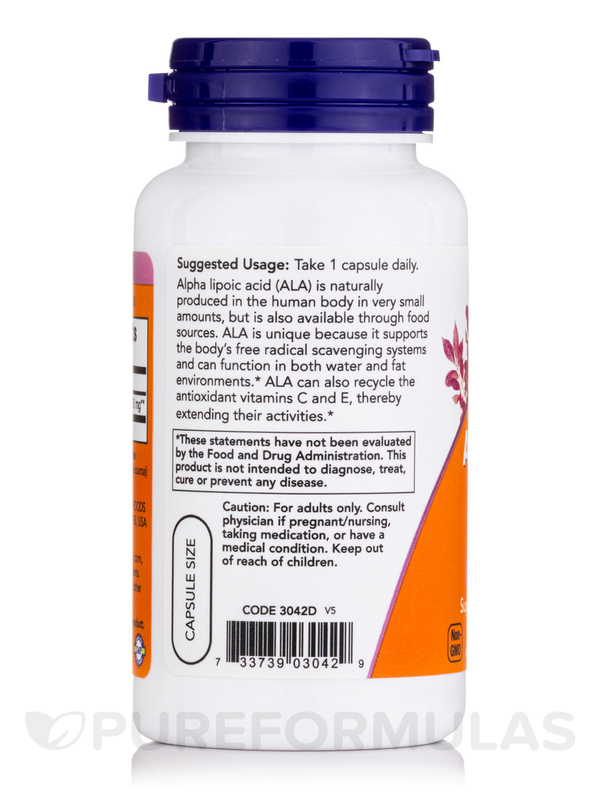 ALA can also recycle the antioxidant Vitamins C and E‚ thereby extending their activities. 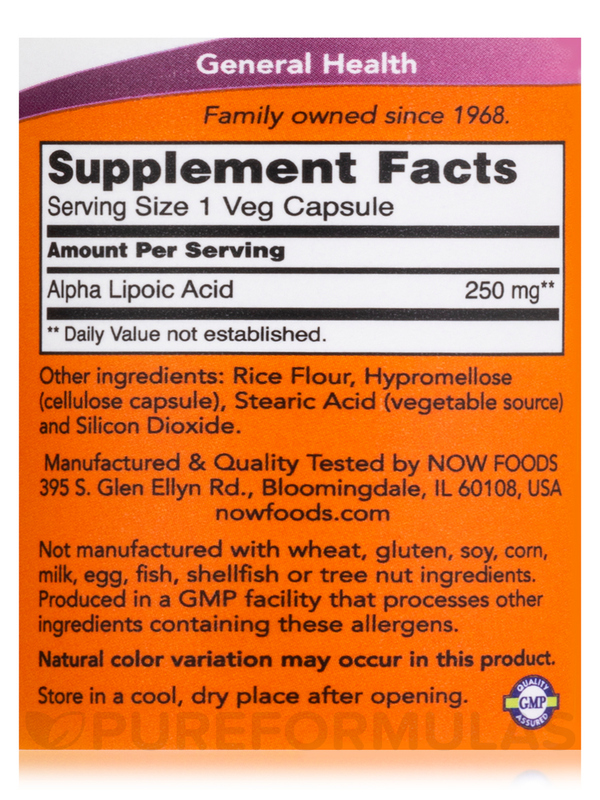 Other Ingredients: Rice flour‚ vegetable polysaccharide (capsule)‚ magnesium stearate (vegetable source) and silica. Great price. Trusted brand. Love this size. I feel more energetic when I take Alpha Lipoic Acid 250 mg by NOW. I like the antioxidant quality. I don't know of anything I dislike about this product.